BBC NEWS | Health | Could you live to 100? Could you live to 100? Celebrations across the US marked the 100th birthday of comedy legend Bob Hope on Thursday. BBC News Online asked experts in ageing about the prospects of the rest of us reaching that milestone. Who wants to live forever? If surveys are to be believed, many of us harbour a secret desire to cheat the Grim Reaper into our 100s. Average life expectancy in the UK is already well in excess of the "three score years and ten" to which the Bible says we are entitled. And scientists across the world are trying to find out what biological processes drag us into old age - and perhaps find ways to reverse them in the future. The only method that has clearly been shown to increase the lifespan of animals is one which involves some tough lifestyle choices. This, however, has not stopped some enthusiasts - many in the US - from embracing "calorific restriction" as a way to live longer. The trick here is to eat only 60% of the calories that would normally be recommended. Dr Richard Faragher, an expert in ageing biology from Brighton University, told BBC News Online: "Even if you didn't live longer, it would certainly feel like it." The only thing that is clear, however, is exactly how complex the science of ageing is, and how little we currently understand about the nuts and bolts of growing old. The established view is that ageing happens when the body loses the ability to repair itself, and the culmulative damage leads to both the gradual decline in mind and body which dog the elderly - as well as more serious illnesses which are potentially fatal. The theory is that the lifespan of any creature is set by evolution - and involves a balancing act between survival and reproduction. The more energy has to be expended by the body to produce offspring, the less is available for the repair process. And the bad news, according to Dr Faragher, is that human lifespan has not changed for centuries. "Human lifespan has not altered as long as humans have been around - what has changed is life expectancy. "In 1800 in the UK, it was about 30 - now it is 75 years or more." Unfortunately, he says, all humans are not born equal when it comes to potential lifespan. At the moment of your conception, the set of genes you inherit from your parents has a big say in how long you will live. 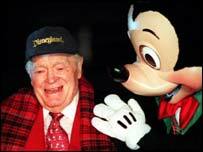 Bob Hope's own father died a day short of his own 100th birthday. And even in the nine months prior to birth, what your mother does could be shortening your life - while a lifetime of smoking, drinking and eating badly raises the odds of an early demise quite significantly. "You can get a good hand of cards that will mean you could live a certain period of time," said Dr Faragher. "But you could shorten that period by living on an exclusive diet of vindaloo." 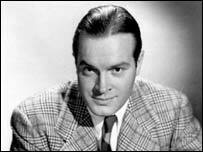 What it means is that quite a few of us have no chance of matching Bob Hope - even if we live like saints from now on. "The best way to match Bob Hope, quite frankly, is to have Bob Hope's parents, and live a life that is the same or better than his," says Dr Faragher. We do, however, have one crucial advantage over the veteran comic. In 1903, medical science was primitive compared with today - Hope was born decades before the discovery of penicillin. It is impossible to predict what advances in cancer, cardiac and geriatric medicine will have arrived in 60 years time to help us get closer to our personal maximum lifespan. However, some scientists believe that it may be possible to find ways to push back this limit. They are starting to discover the genes which appear to be involved in some way in the ageing process - and are hopeful this will point them towards targets for drugs to alter this. Scientists in Italy are using information from the human genome and samples from volunteer centenarians to see how they differ from the rest of us. And analysis of people with a condition called Werner's syndrome - which causes premature ageing - have also yielded clues. Genetic experiments in fruit flies, worms and even mice are starting to yield promising results. Dr Dominic Withers, from University College London, told BBC News Online: "It's extraordinarily complex, but there is evidence coming through from these lower organisms that suggests that one day we may be able to prolong life. "We have just opened the box - and now we are peering in." Dr Faragher said: "People have managed to produce lifespan extension of as much as 100% in worms - it must be possible to increase lifespan in humans." At present, however, there's no way that someone can reliably boost their lifespan to match the genetic superiority of Bob Hope. However, for those prepared to think more radically, there may be a solution. A company in the US offers customers the chance to be "cryonically" preserved after their deaths - frozen, in other words - to be reawakened in a few decades time when medicine can cure their ills and make them young again. For a mere $125,000 a whole body can be preserved, while those on a tighter budget can gamble on the future of robotics by storing only their head at less than half this cost. Growing old gracefully is not an option these days. 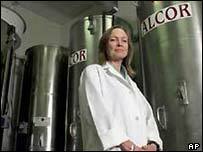 Cryonics: Freezing for the future?